The death toll from General Motors’ faulty ignition switches has inched past 100, the office administering GM’s compensation fund said. The office of attorney Kenneth Feinberg approved 104 death claims as of Friday, May 15, four more than a week earlier. Feinberg was hired by GM last year to independently compensate victims of crashes caused by its faulty ignition switches. 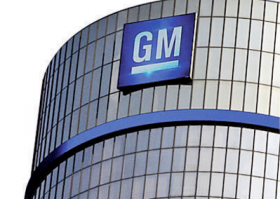 GM originally said it knew of only 13 deaths linked to the switches. Feinberg’s office also approved seven more injury claims, bringing that total to 191 as of May 15. Of the 191 approved injury claims, 12 are for serious injuries, while 179 are for less serious injuries requiring hospitalization or outpatient medical treatment. The deadline for victims to file claims was Jan. 31. Feinberg’s office has said it expects to complete its review this summer. GM recalled 2.6 million vehicles in 2014 for defective ignition switches that can move from the “run” position, cutting power to the power steering, brakes and airbags. Those seeking compensation must prove that the airbag did not deploy and must provide evidence that the faulty switch was the primary cause of the crash. Of the 4,342 total claims submitted to Feinberg’s office, 495 are still under review and 1,378 require further documentation.